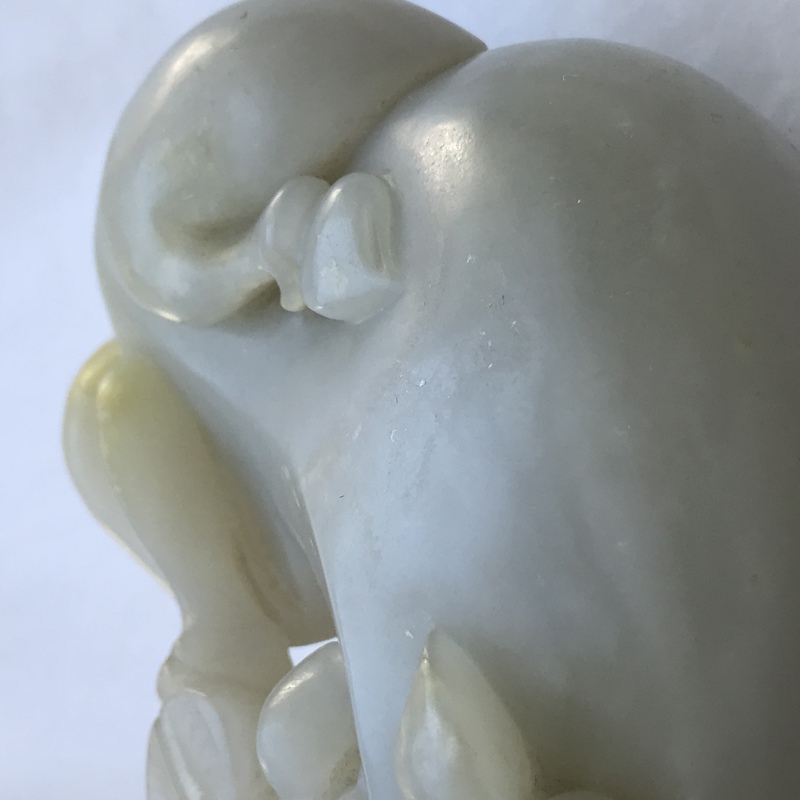 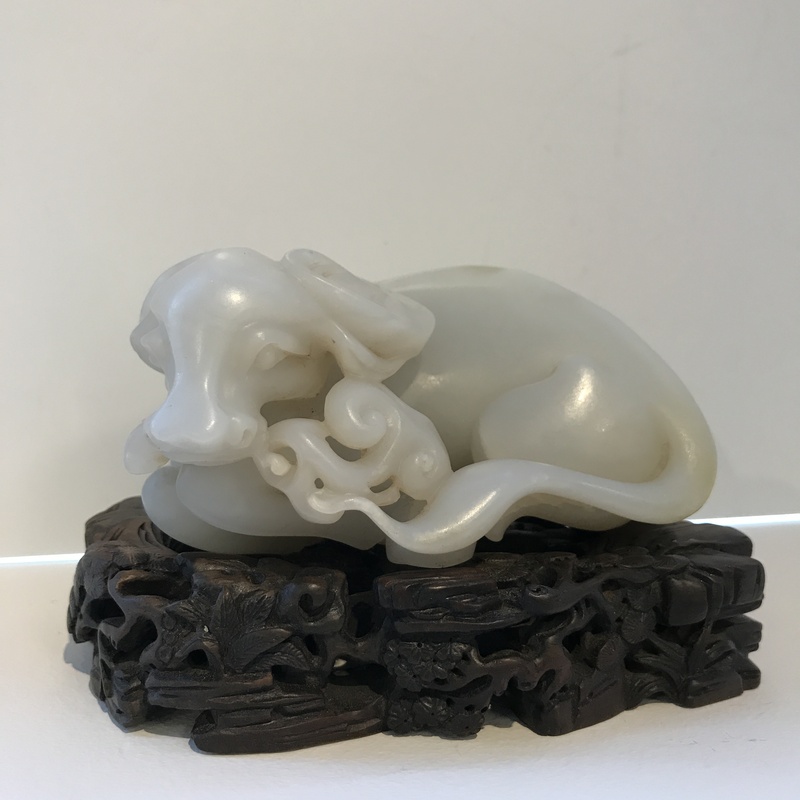 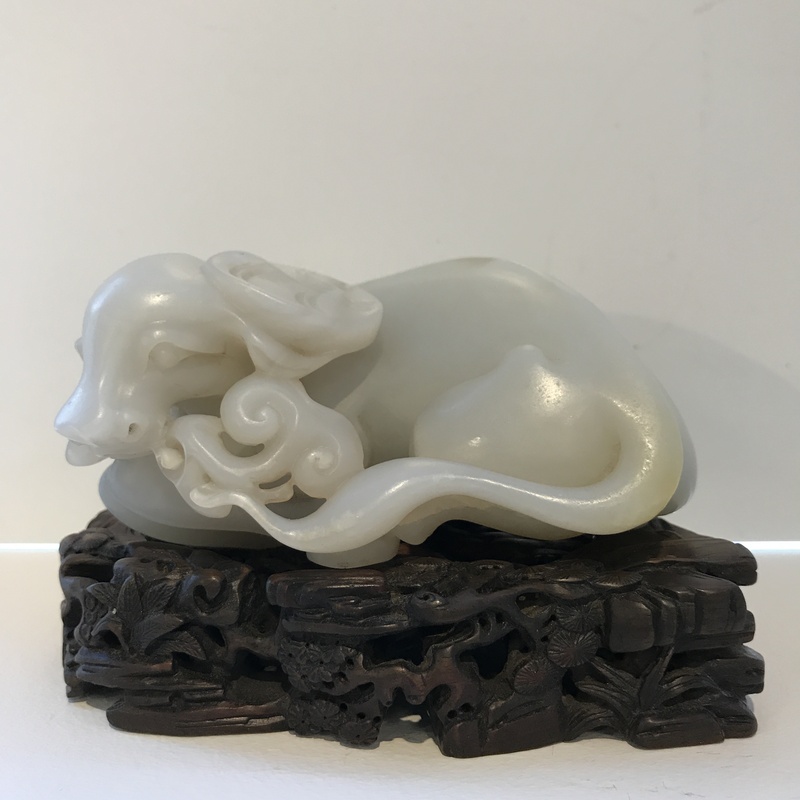 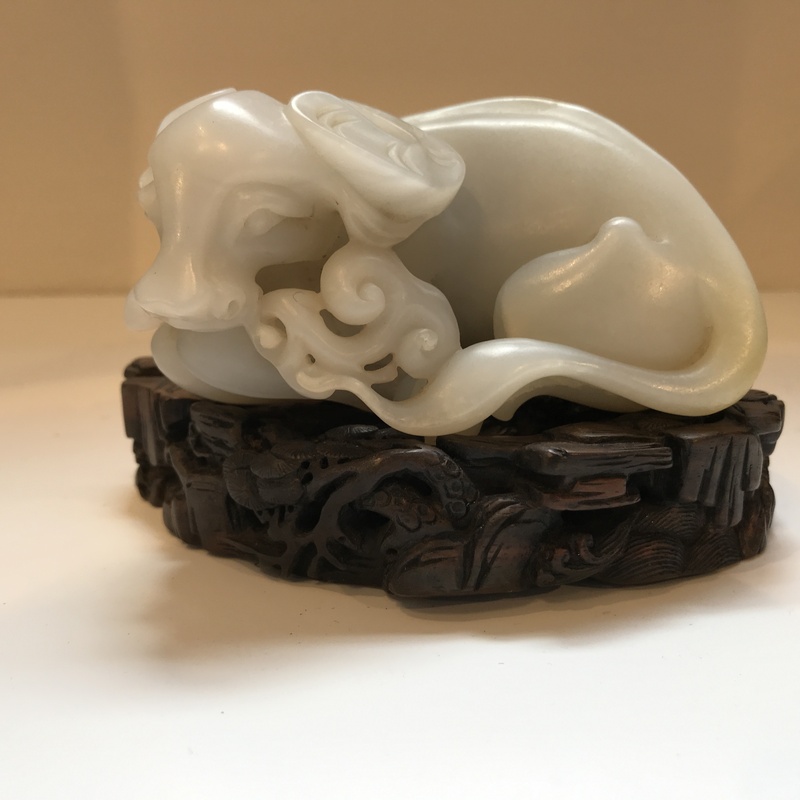 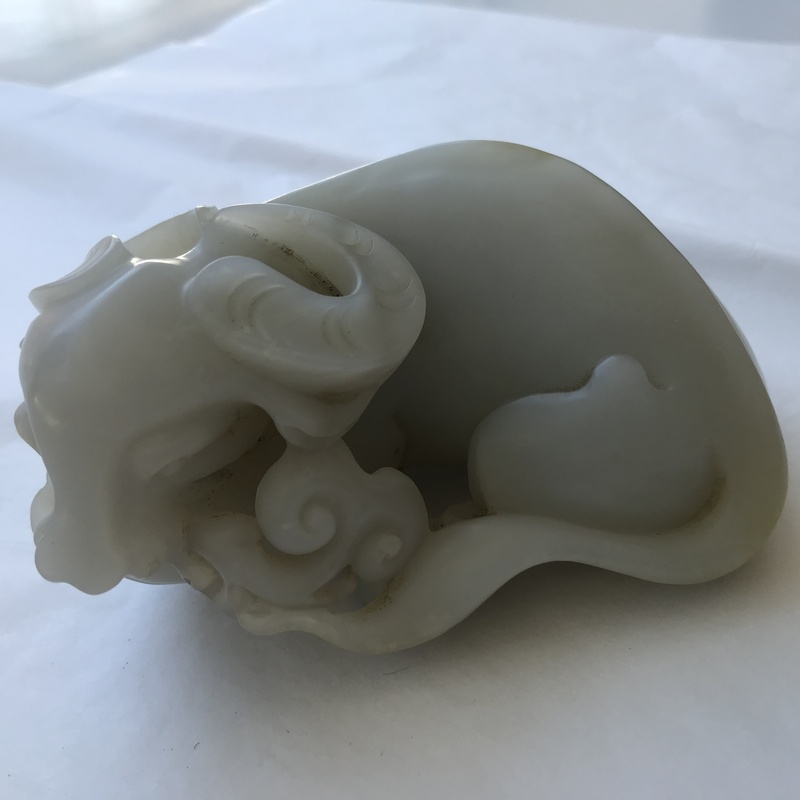 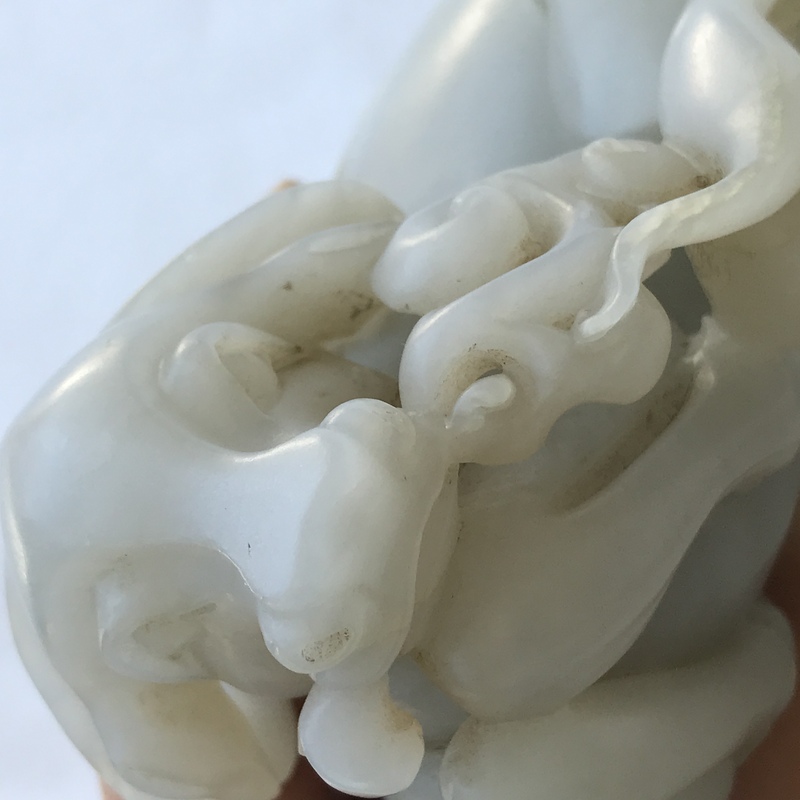 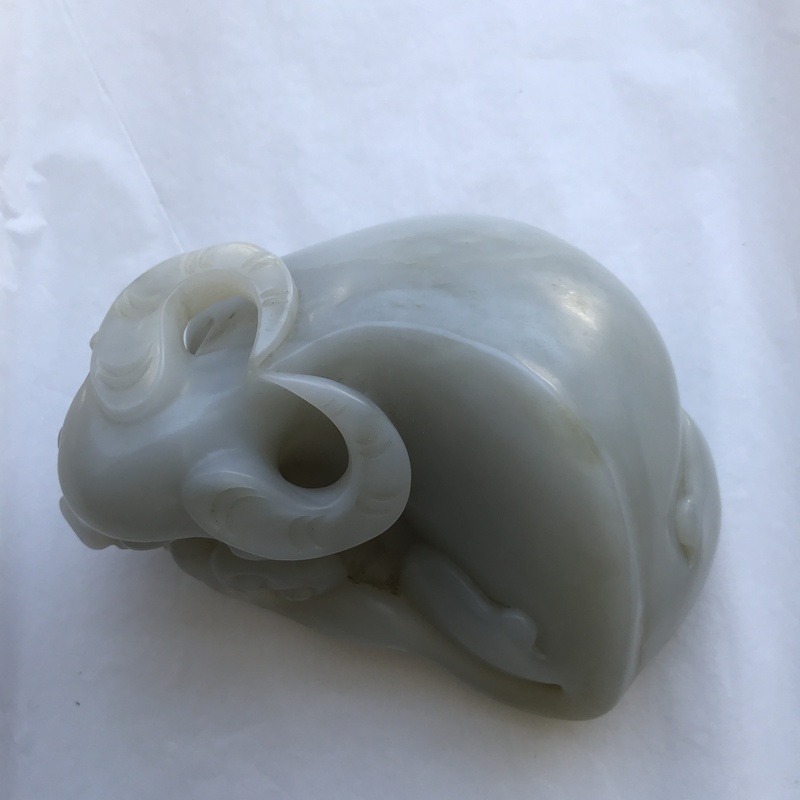 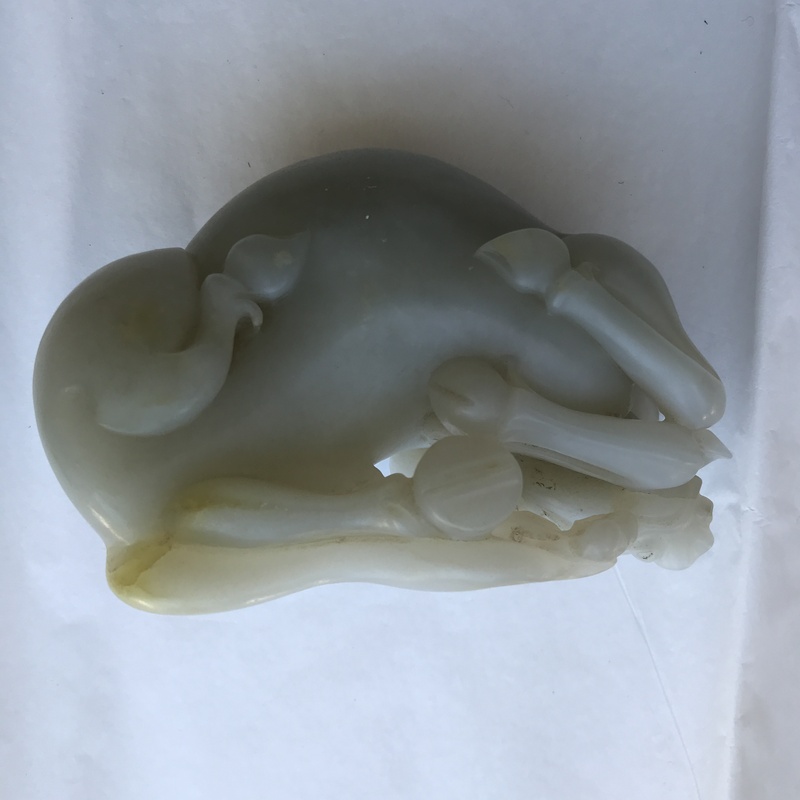 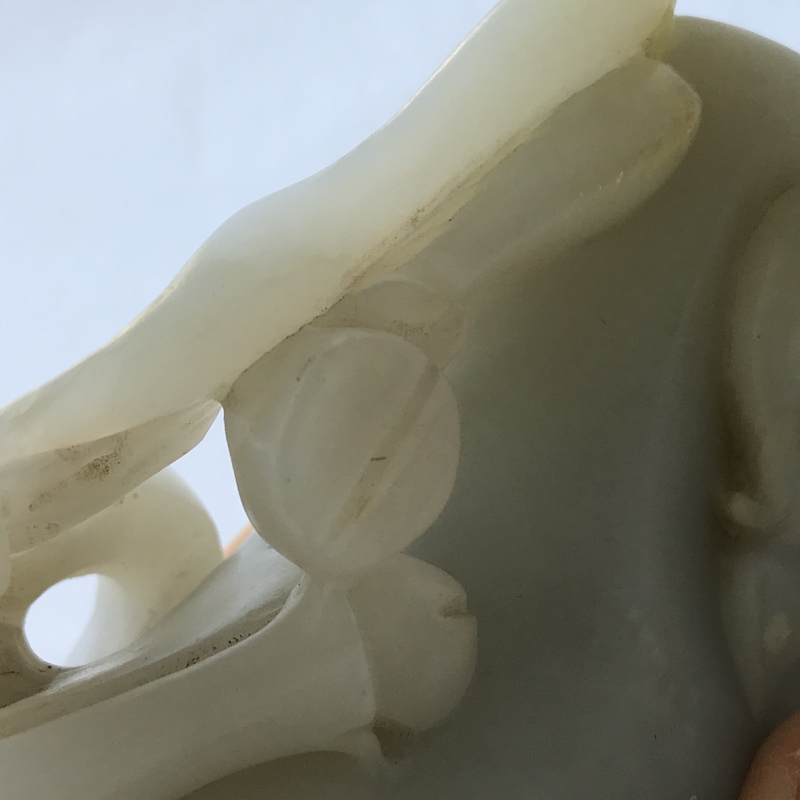 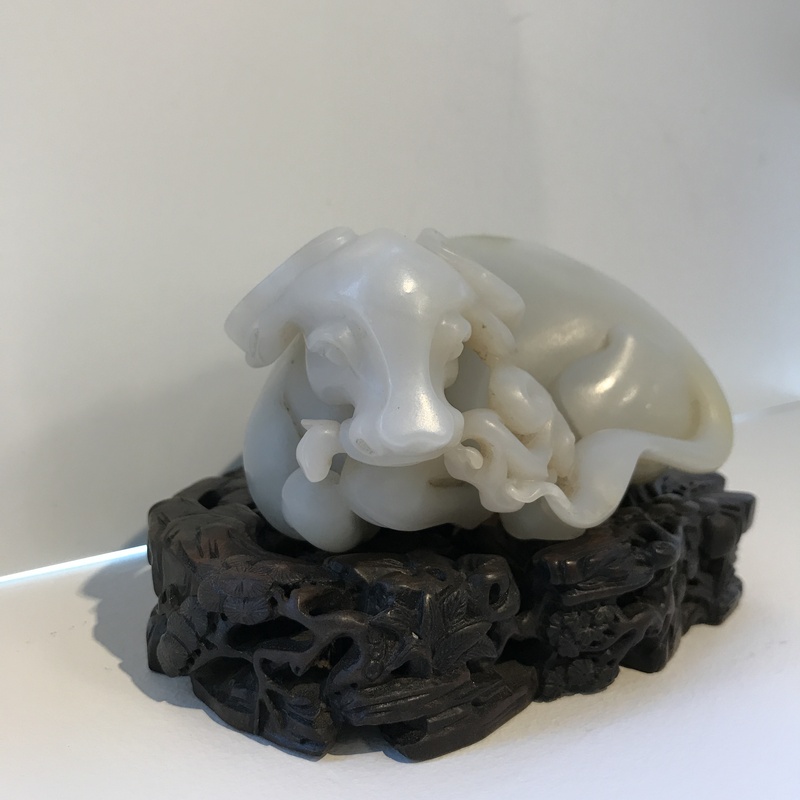 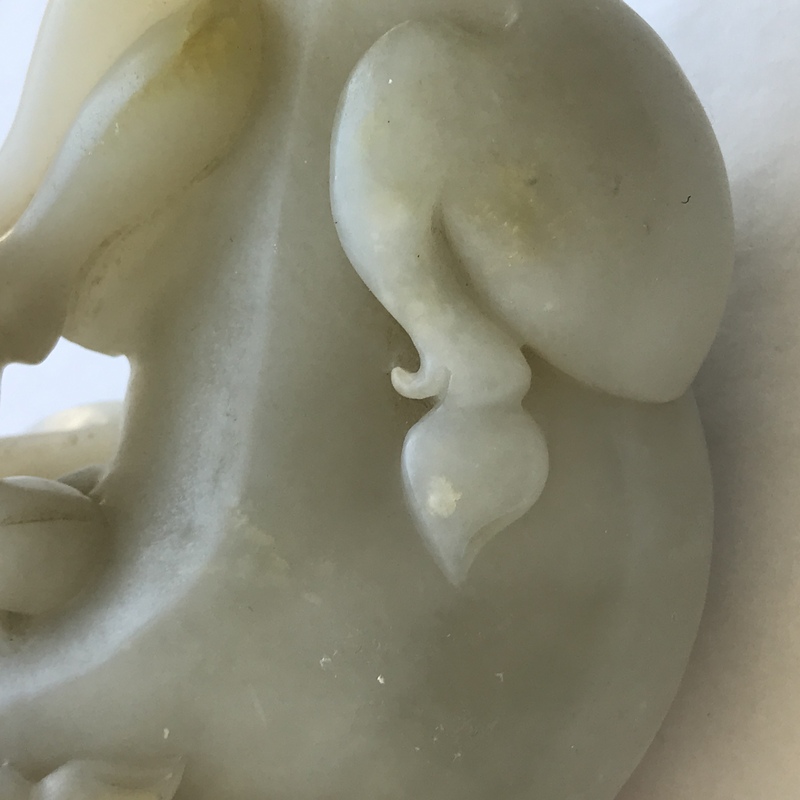 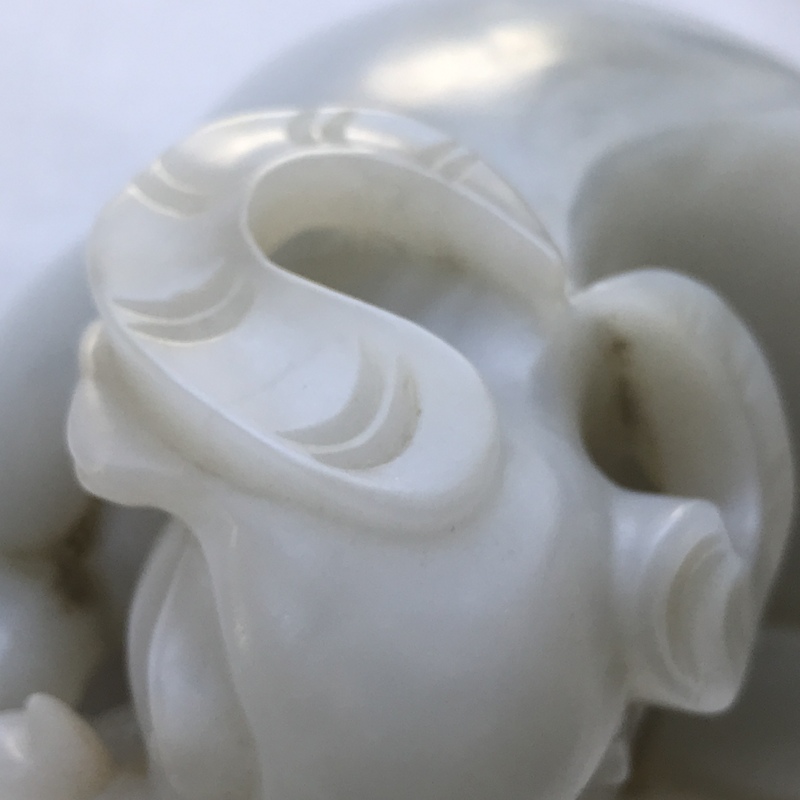 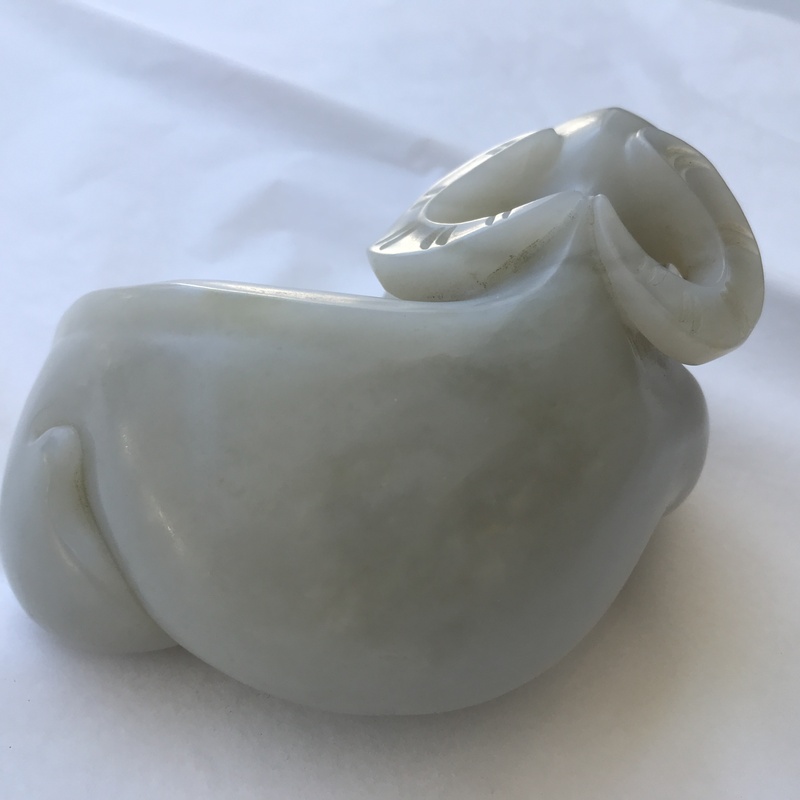 Carved Hardstone Water Buffalo, China, reclining with a lingzhi mushroom in its mouth, pale celadon stone with spotty yellow inclusions, with conforming carved wood stand, ht. 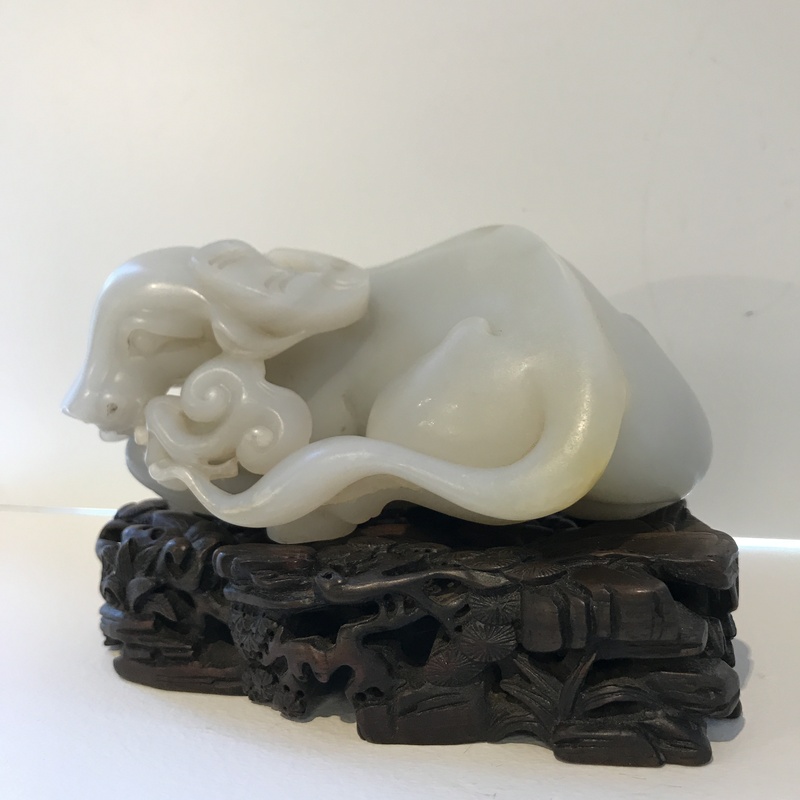 2 3/8, wd. 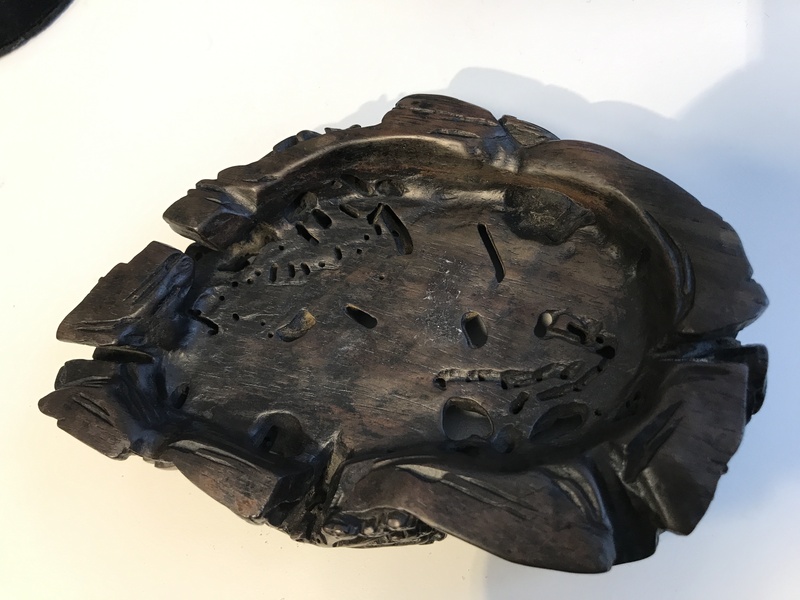 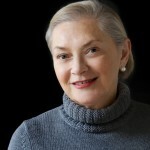 4 7/8 in. 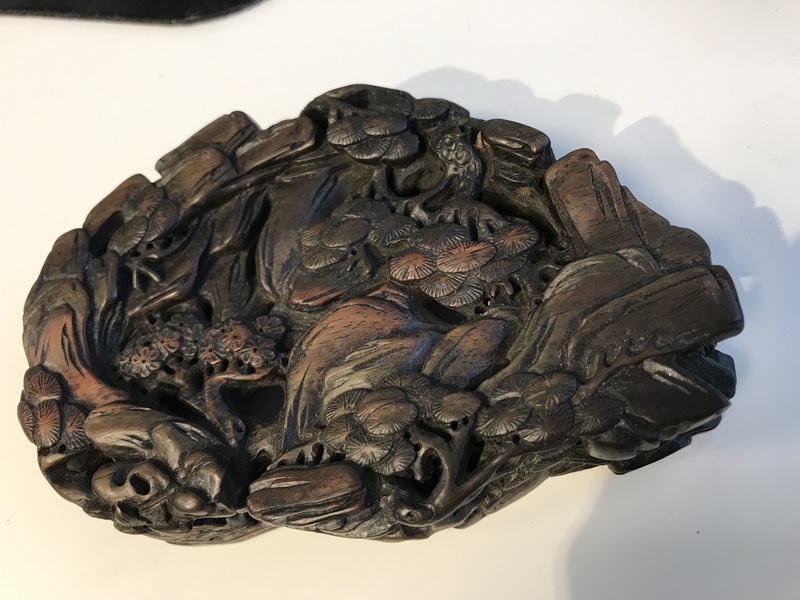 some surface stain, otherwise in good condition.